Archangel Metatron is known as the king of the Archangels. He has a very strong energy and he is loving, kind and ultimately there to help you progress, manifest and actualise progress upon your souls path right here right now. Are you ready to with Metatron create magic for yourself? Metatron is here to help you identify where you CAN make progress and where you CAN choose to develop. He first of all, tells you that creation starts within. Just as God (or whatever you perceive God to be) created from the void, so too do you create internally. Metatron shares that everything outside of your experience is a reflection of you. How you feel, what you need to heal, where you wish to progress and what is asking for your attention. Sitting for just a few moments every day and asking Metatron or the Universe ‘What is required of me now? How do I make progress now?’ will allow the energy around you to shift and start changing patterns. If you are feeling ‘stuck’ its a great idea to break the pattern with energy rather than frustration. Get outside in nature and just ‘be’ and play, also listen to what your body is telling you it needs, does it need to be creative, does it need movement? He suggests every day getting out wherever you live and simply appreciating the flowers and trees, the children playing, the sun whether it's low in the sky or bright and high, and the feeling of oneness around you. Really ‘wrap yourself up’ in this connection and smile, when you smile your vibration shifts up beautifully and you will take that feeling with you into your day. Another beautiful thing to do, is to give yourself an energy cleanse for a few moments, this can be done sitting in your car or even at your desk. 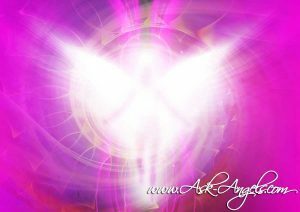 Connect with your heart centre’s centre, it’s a small white light and this is where the angels flow their magic through into your reality. Metatron suggest ‘breathing this light wide’ and feeling love for yourself, feeling love around you and as you breathe, see that white light expanding into your chest area, then your body and then your aura. Then if you want to use this to increase the magic in your life, place your hand on your heart and send this loving compassionate white light out into the whole of your home and the whole of your community and ‘see’ people being loving to each other, assisting you with everything you need, and see resources becoming available for everyone including yourself who needs them! Asking for a group of ‘magical angels’ is another way to increase magic daily in your life a simple request like this will give you an ‘assignment’ of angels who will find small ways to allow you to see the beauty and flow of magic in your life. As you recognise the synchronicities that are placed around you – these may be songs on the radio with an angelic touch, a rainbow, a feather finding pennies on the ground, finding an extra note in your wallet, you will begin to see, believe and know magic is real, this Metatron says is all that is needed so that you attract more. Metatron also asks you to prioritize your own nourishment, this may be with candles, a massage, music or beautiful food, but as you nourish YOU, your reality will nourish you back. Even undertaking everyday tasks in a more mindful manner will greatly reduce the amount of stress and time wasted wondering ‘when’ things will be different, you will see that by surrounding yourself with simple everyday ways of feeling connected to your own magic – life begins to work out in magical ways you can’t imagine. If you have to sit in front of a computer, its a great idea to introduce some crystals to negate the static that can infiltrate your beautifully prepared energy. I personally have rose quartz, and selenite with my computer so that the energies are lovely and calm, I also have fresh flowers wherever I am working so I can look at them and breathe in their colours which infuse my aura with goodness and vitality. Metatron reminds you that NOW is your most powerful moment. There will never be another moment that is more perfect for you to manifest magical outcomes. So even if ‘now’ does not SEEM magical to you, decide that you are going to feel gratitude, comfort, joy and acceptance for whatever ‘is’. Try and leave anything that bugs you or worries you for another now, and make this now your full focus – the more you do this and the more you leave figuring it out whether this is ‘how to manifest money’ or anything else, the more you leave the angels, god and the Universe to bring these to you and focus your energy on making your feelings and your thoughts, gentle accepting supportive and open as much as you can, you need no wand magic will find you in ways that will amaze and delight you. Metatron tells us that in the Universe when we want something it instantly manifests. Often known as our vortex this is where our desires are created the moment we think of them, every thought or feeling after this starts to bring them closer to us – or sends them away. So be aware that right now your magic lies in deciding what will be and letting it go, and let the angels do what they were made to do which is help you create and live a blessed magical and life filled with bliss. Click here to learn more about Archangel Metatron! Thank you for this wonderful post! Usually I asked the Archangel Michael an now I will asked also the Archangel Melatron when I need more energy and I will put some whites candels and with classic music I feel quiet and its help me to feel better.I appreciate so much this post from Sheelagh Maria ! Thank Ask-Angels.com!